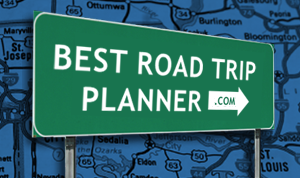 Whether you plan to head out on a family vacation, a romantic getaway or a college road trip, Ohio (OH) offers a great sampling from among the most popular scenic drives in the country. Spectacular views and stunning tourist attractions can be encountered at every bend in the road. Cruising Ohio's highways and byways you can experience a coastal feel of the Lake Erie, explore an array of different lifestyles such as Amish and Mennonite, discover the rock cliffs and gorges of the Hocking Hills region and enjoy the urban atmosphere of Cleveland. Along the way you have an opportunity to stop at nearby state parks, nature preserves and other sites for up-close views. The not-to-be missed scenic byways in Ohio are: Ohio River Scenic Route, CanalWay Ohio Scenic Byway, Historic National Road and Amish Country Byway. Head to Ohio for the adventure of your lifetime! Start this road trip at the Forest Service Office in Marietta by picking up a brochure highlighting 10 points-of-interest to visit along the way. You'll be passing through some small towns with the exception of Mt. Vernon, which is more like a small city. This trip is a string of small towns but there are plenty of them to get gas or food at along the way.